Though they were excruciatingly obnoxious to William Barr at Tuesday’s (4/09) House Appropriations subcommittee hearing, Democrats would be well-advised to lay off the attorney general, maybe even treat him with kid gloves, because he holds a good deal of the future of their party in his hands. The big story from Barr’s testimony then before the subcommittee was not that the AG plans to release a redacted version of the Mueller report within a week or even that those redactions will be color-coded four ways and annotated to explain the reasons for the edits. Or that Democrats like Nita Lowey whined about transparency with all the hypocrisy only a politician can muster. This is all pro forma and predictable. The big story was the affirmative answer he gave to a question about whether he was planning to investigate the provenance of the Russia collusion claim itself: Barr Reveals He Is Reviewing ‘Conduct’ of FBI’s Original Russia Probe. That would, of course, include the FISA court scandal and the Steele dossier, not to mention strange–let’s call them spooky– occurrences in the UK well before the election. Barr noted he also would look at the eight criminal referrals of DOJ personnel and others coming from Devin Nunes. He further noted we could expect the inspector general’s report on these matters in May or June. He was filled with such news, much of it spontaneously given. Perhaps even John Huber will surface. In other words, Barr’s obviously been paying attention to the larger situation and that is bad news indeed for Democrats. This is particularly true because the Mueller probe did not come up with any crimes connected to Russia collusion, but even the beginnings of an investigation of what prompted the probe in the first place has already come up with several. More are undoubtedly coming. Is it an accident Judicial Watch was finally able to uncover “422 pages of FBI documents showing evidence of ‘cover-up’ discussions related to the Clinton email system” just the other day? Or does it have something to do with the installation of Barr? Impossible to know at this juncture, but what is clear is we will be dealing with this a long time, all the way, it’s quite likely, to election 2020. For the Democrats, this is the original “be careful what you wish for,” especially if the investigation leads where many think it will–to the top of their party. 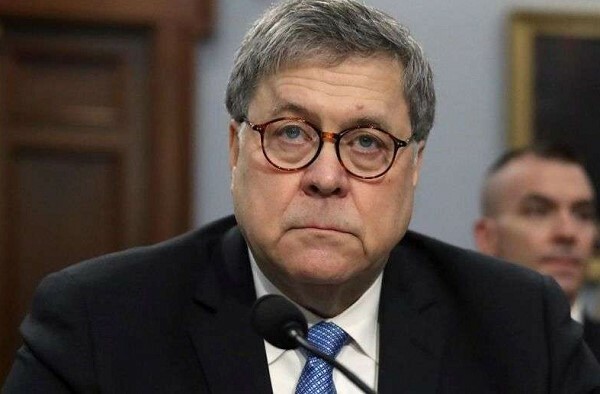 It’s enough to give a sane man the willies, but Barr appears up to the task. After all, as many have noted, he did not need this job. As a previous AG, he had nothing to prove. He also, apparently, was no special fan of Trump’s. So something must have concerned him enough to want to do this. From the unflappable and admirable way he has been handling himself, the best guess is that it was the suborning of justice in our country at the highest level that drove him to volunteer for this onerous task. For he really could be the Democrats’ worst nightmare. Roger Simon is a well-known novelist, screenwriter, and founder of PJMedia.